Errol: And thus ends the story saga of our gigging experience for the month of April and May. As June and July unfolded, we realized we had a CD to do! Will we get done in time? Will we figure out our songs? 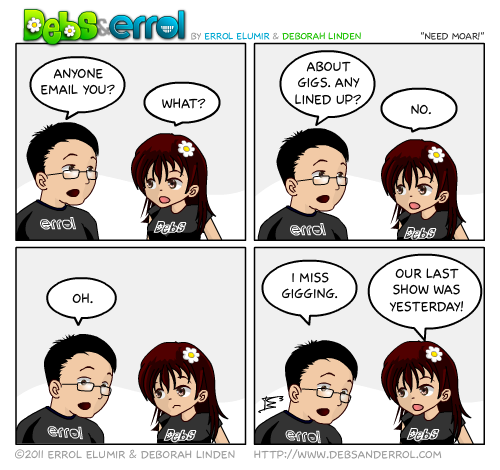 Find out in the next installment of Debs & Errol comics! Debs: Haha. In time is all relative when you make your own deadlines.